Are you looking for dog names by size? You are looking for a dog name. So that either means that you are about to get a dog or you already got a new dog. Congratulations! Getting a dog means lots of preparations. You will have to prepare the house, you family and read up on how to raise a dog. You will also have to find a dog name. You probably do not just want any dog name and are worried about finding a good dog name. But what is a good dog name? How are you supposed to find a dog name? Are there even dog names that are wrong? 123Tinki.com can help you to find a dog name. If you do not have any idea about the type of dog name you want it can be smart to narrow down the selection of dog names with the help of the dog’s appearance. You can sort the dog names according to the size of your dog. This will exclude many names that are less suitable for the type of dog you have and you will have an easier time making your final decision. Why is it necessary to name a dog? Dogs did not always have the same status they hold nowadays. They used to be working animals and were used to protect and guard. They were given a typical dog name that their owners did not have to really think about and they were given names with the intention of it being a command. Nowadays, most people regard their dog as a family member and as such they deserve a special name. Dog names are part of a dog’s identity and how they will get perceived by other people. To a dog, his name is only a command, he does not really care about the meaning of his name or how much time and effort you spent choosing the name. Humans tend to name things they hold dear, so it is only logical to also name the dog. Dog names are chosen more for the owner than for the dog. 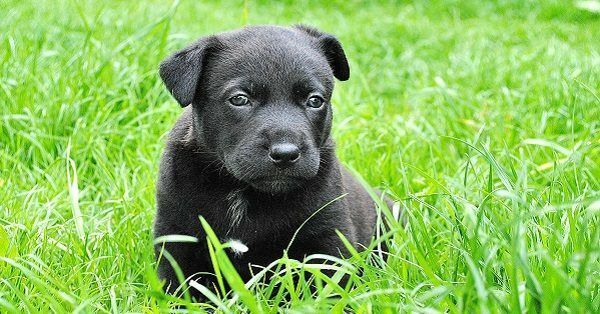 The choice for a dog name is a personal one, it is a sign of the connection between owner and dog and typically has a significant meaning to the owner. Lots of people spend just as much time and effort on a dog name as they would for a child’s name. And there is really a lot to think about. Dog names are also used as a medium of self-actualization and really get creative. Dog names are very important for everyone that owns a dog. Everybody who has tried to look for a dog name knows that you quickly get overwhelmed by the choice there is. There are so many different dog names that you might find it difficult to find a point to start searching for one. Some people already know what type of dog name they want, then they can look for more specific types of dog names. But there are also many people that have no idea where to start. Then it might be a good idea to look for dog names that fit your dog’s size. On the one hand, this will narrow down the selection of dog names that you can choose from. But you will still get to see many different types of dog names, so you are not really limited in you own choice. If you sort dog names by size you will exclude dog names that would not be a good fit for your dog. One thing to take into account when you are looking for dog names by size is that puppies will grow. You should not choose a dog name according to the current size of your puppy. Pick a dog name by size that fits the size that your dog will reach when he grows up. 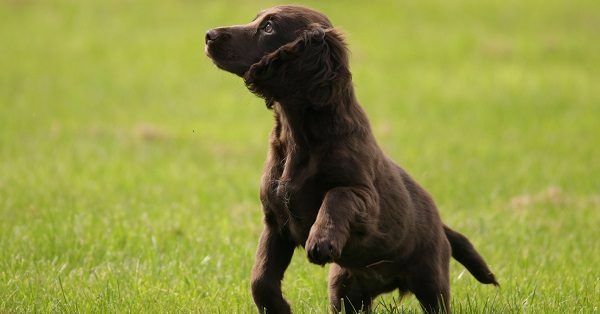 So dog names by size will ensure that you will get a dog name that really suits your dog’s appearance, but it will also make the search for a dog name easier. You will have a good starting point and not get completely overwhelmed by the choice there is. When you are looking for dog names by size there are different types of dog names you could look for. First there are typical dog names for dogs of certain sizes. They are often names of big personalities, the word big in another language or other words or names that are perceived as big. Examples for typical dog names for big dogs are Attila, Bear, Brutus, Zeus, Tank, Tyson or Mack. People often use these names if they are getting a big dog. Typical dog names for small dogs are often a bit cute and soft. They are generally perceived as being a good fit for small dogs. Typical names for small dogs are Pixie, Peanut, Puck, Pico, Dobby. But there are also other dog names by size. If you like funny dog names, you can try to find a sarcastic dog name by size. This can easily be done by picking a small dog name for a big dog or a big dog name for a small dog. This is funny because when you call your dog by a big dog name, people expect a big dog and it will be quite funny when your small dog comes running up to you. Typical small dog names you can use for big dogs are Baby, Minnie, Tiny and Shorty. The other way around is also funny, choosing a small dog name for a big dog. Examples for small dog names for big dogs are Biggie, Rocky, Macho, Kong or Hulk. This is funny because people expect one thing and something else is true. There are some easy steps to find a dog name by size. If you do not have any idea yet about the type of dog name you would like, then it is smart to start sorting the dog names by size. This will already pre-sort the dog names and exclude dog names that dog not fit your dog’s size. So in the end the final decision will probably be a lot easier. If you do not know what type of dog name you might like, you should start by looking and lots of different dog names by size. You will quickly find out what things you like in a dog name and what things you do not like. Then you can look for more specific dog names by size. The best approach to find the right dog name by size for your dog is to read lots of dog names and create your own list with all the name you like. Do not limit yourself, just write down any dog name by size you initially like. If you think you have a good list and are ready to take the next step, start to say the different dog names by size out loud. This will give you a better feeling for the different names and you will quickly find out which name you like best. In addition, you will also find out if you can comfortably pronounce the dog names by size that you like. Try to imitate real life situations, act like you are in the dog park or on a walk. Make sure that you pick a dog name by size that is handy for everyday use. How do I teach a dog his dog name by size? Once you have found the perfect dog name by size, your work is not done, yet. Now you have to teach your dog his new dog name by size. Because he will not know it without teaching it to home. Dogs do not have a concept of names. To them, a dog name by size is merely a command. A command that has to be taught first. The first step is to create a positive association with the name. Try to call the name and immediately give your puppy a treat after calling the name. After you have done that for some time and the puppy has gotten used to getting a treat after you call his name, he will probably turn his head towards you every time that you call his name. Keep rewarding him for doing that. The next step is to get your dog to make real contact, he is supposed to put his attention on you. The best way to do this is to call his name and when he turns his head to look for the treat, you have to hold the treat between your eyes. This helps the dog to look into your eyes when you call his name. Do this for a while and make sure that the dog really learns to look into your eyes every time you call his name, reward him every time that it works. After some time you can start to slowly reduce the treats. Only rewards him every second and third time, slowly decrease the treats until the dog also looks when you call his name without giving a treat. Ultimately, you do not want to have to reward your puppy every time you call his name.